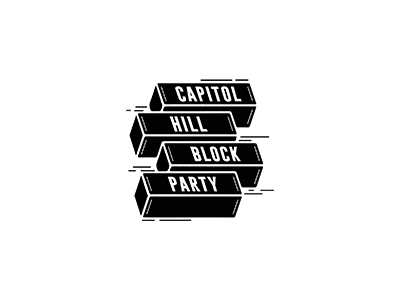 We want to thank Capitol Hill Block Party for sponsoring four Autism youth to attend this years Capitol Hill Block Party! With CHBP sponsoring the tickets and Sensory Access sponsoring the staff, four youth get to attend this years music festival in a safe, positive way. 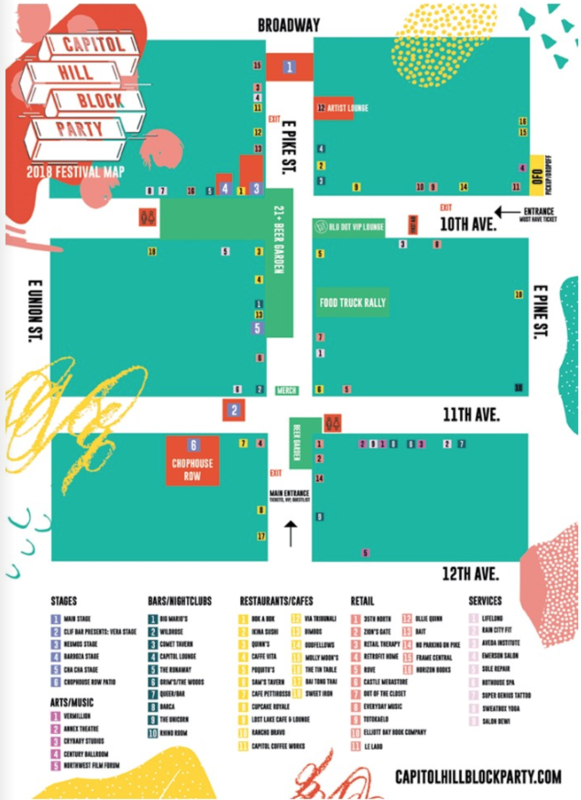 While several staff will be working directly with the youth, other Sensory Access staff will be roaming the crowds for anyone else that needs assistance, sensory tools, or just some tips on how to enjoy the festival. Contact us during the festival on Twitter @SensoryAccess and on Instagram @SensoryAccess! For those that need some sensory breaks, your best bets will be Cal Anderson Park, accessible off of Pine and 11th. There are some lovely shady spots to restore and re-energize! All patrons have in and out privileges of the festival, so the park is a great way to take a sensory break and then come back to enjoy more music! 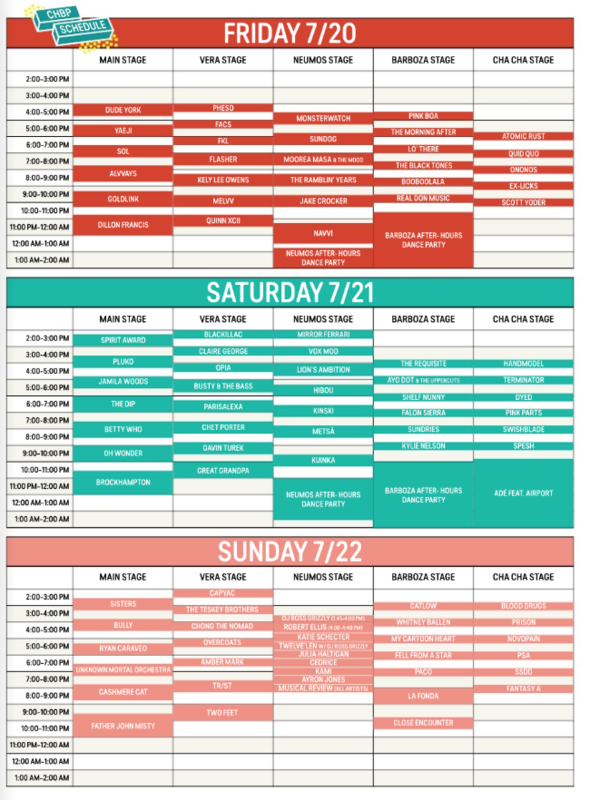 The Stranger makes an awesome map and schedule every year for CHBP – see them below! Find our staff at the main entrance for the first hour daily – we’ll be handing out sensory tools while they last!